"DRA is committed to investing in rural communities across the Delta region to ensure successful implementation of the Opportunity Zone program,” said DRA Federal Co-Chairman Chris Caldwell. “I commend President Trump and Secretary Carson for their leadership on this important initiative. Investments through the Opportunity Zone program will impact thousands of people in some of our country’s most distressed areas through the creation of jobs, expansion of businesses, and revitalization of communities." 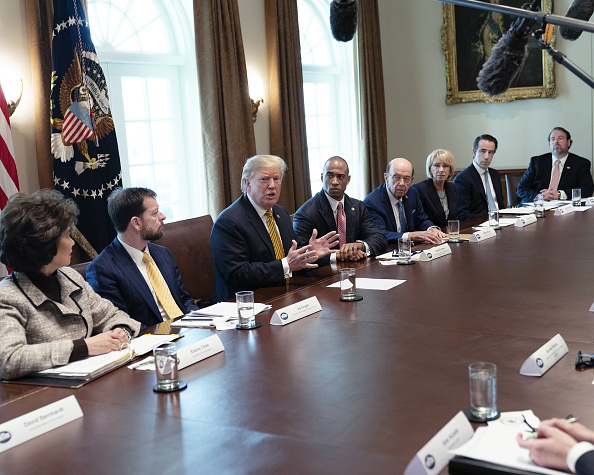 On Thursday, the Council met to discuss legislative proposals and regulatory reform to remove barriers to revitalization efforts and presented the President with options to encourage capital investment in economically distressed communities. In March, DRA published the States’ Economic Development Assistance Program (SEDAP) funding cycle for Fiscal Year 2019 which includes an updated provision to SEDAP guidelines in support of the Opportunity Zone program. Through SEDAP, eligible entities located within federally-designated Opportunity Zones can apply for funds to support planning activities such as the development of an investment prospectus or a GIS database to better market their communities and potential projects to interested investors. Up to 10% of each state’s allocation can be used to fund eligible Opportunity Zone planning activities. Established by Executive Order in December 2018, the Council’s 13 Federal member agencies engage with governments at all levels on ways to more effectively use taxpayer dollars to revitalize low-income communities. Additionally, the Council seeks to improve revitalization efforts by streamlining, coordinating, and targeting existing Federal programs to Opportunity Zones – economically distressed communities where new investments may be eligible for preferential tax treatment. Opportunity Zones are a powerful vehicle for bringing economic growth and job creation to the American communities that need it the most. On average, the median family income in an Opportunity Zone is 37 percent below the state median. To date, 8,761 communities in all 50 states, Washington D.C., and five territories have been designated as Opportunity Zones. Nearly 35 million Americans live in communities designated as Opportunity Zones. Learn more at dra.gov.